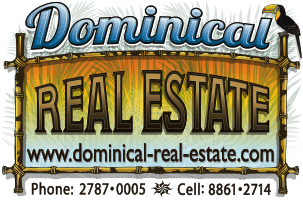 CONDO - 3 Bedroom Luxury Condo In Pacifco Colonial With Amazing Sunset Ocean Views!!!! Pacifico Colonial 2 South is strategically located not only being in the heart of Manuel Antonio but the key location in the building itself offering the ultimate privacy. The premier condos setting the standard for luxury in the area, these new units combine the best views in Manuel Antonio with the finest of first world luxuries including the finest finishes, privacy, security, and of course, premier location. This pristine executive unit offers 3 gorgeous bedrooms, a chef's kitchen, and several high end finishes that are both subtle and breathtaking. This condominium has a view of the Pacific Ocean, yet close enough to the jungle to see the birds and monkeys up close in the trees. Enjoy spectacular sunsets on your private balcony with friends and family. Over 2600 square feet of living space plus a spacious balcony for dining and lounging for everyone in your group. Great to live and an excellent income rental if you choose. 3 bedroom units are in the highest demand, so act fast. Contact us today to arrange your personal tour.